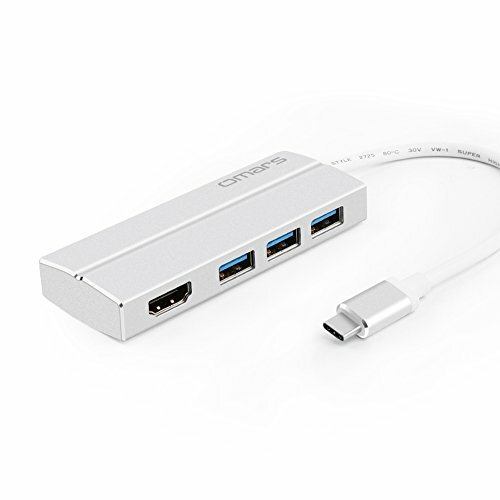 4 Extra Ports to Get More Done: this usb c adapter extends one USB C port by 3* USB 3.0 ports and 1* HDMI port on Apple Macbook, Google Chrome Pixel, or other Type C compatible devices. Stable and Keep Connected: Certified with CE, FCC, and RoHS certified, Omars provides you 12-month warranty to ensure you are always connected. Advanced after sales service and hassle-free warranty, what are you waiting for? Love that it supports USB 3.0! Super handy and convenient. I wish the cable was a little longer though. The perfect adapter. I'm impressed!